Fox has decided that it’s time to reboot ‘Hitman‘, which is a live action adaptation based on the popular video game from Square Enix. The original ‘Hitman‘ film was released in 2007 and starred Timothy Olyphant as Agent 47. 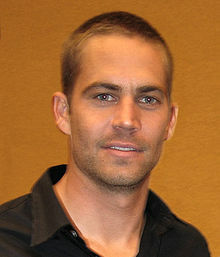 However now, Fox has cast Paul Walker as the killer agent. It’s as if Fox wants this film to fail. This remake was written by Skip Woods, who wrote the 2007 ‘Hitman‘, ‘Swordfish‘, and ‘A Good Day To Die Hard‘. They have also hired a newcomer director by the name of Aleksander Bach, whose only credits involve commercials. And no, I’m not making this up. Fox has planned a complete reboot of this franchise and will start shooting this summer overseas in Berlin and Singapore. After Walker finishes all of his press tours for ‘Fast and Furious 6‘, he will shave his head completely bald and play the stealthy and dangerous agent. Th 2007 version did make over $100 million, despite us critics mostly loathing the film, according to Deadline, and the studio execs think that with this remake, they can make tons of money, because in their minds, that is what this is all about. They are completely wrong. This might be one of the worst ideas in a long time with some pretty awful casting. 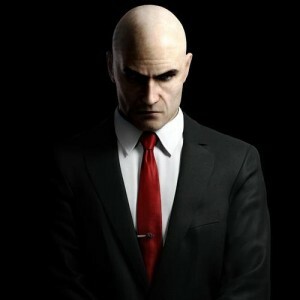 The only person I see as Agent 47 right now, is Tom Hardy. What is Paul Walker going to do in this film? Bleed on people? Anywho, this is actually happening, so let me know your thoughts? ‘Ratchet and Clank’ are Headed to the Big Screen!!! This entry was posted on Wednesday, February 6th, 2013 at 12:50 am	and is filed under Film, News, Video Games. You can follow any responses to this entry through the RSS 2.0 feed. You can skip to the end and leave a response. Pinging is currently not allowed. « Kristen Wiig Has Officially Joined ‘Anchorman 2’!! !